I make cards by decoupage, dry and heat embossing, rubber stamping – in fact all aspects of cardmaking. I live in Cullen and took up the hobby about 3 years ago and it’s practically taken over the house! I take orders for personalised cards and invitations too. Some of the artists and crafters at the Spring Fair have given us some information on themselves so you can remind yourself who they were, or see what you missed. We will enter their pieces one at a time and attach a photo of their stall. This is a collaberation project so if we get the wrong photo with the words, please just gently ask us to change it. It was a busy day and we might just get a little confused. was one of the comments in our feedback forms and it most certainly was. 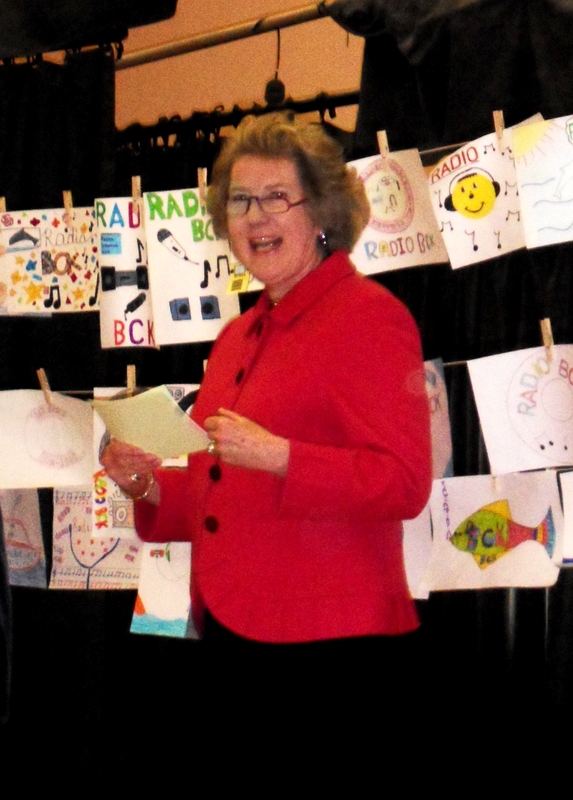 The fair was opened by the Lord Lieutenant of Banffshire, Clare Russell, who has a rich background in needlecrafts. 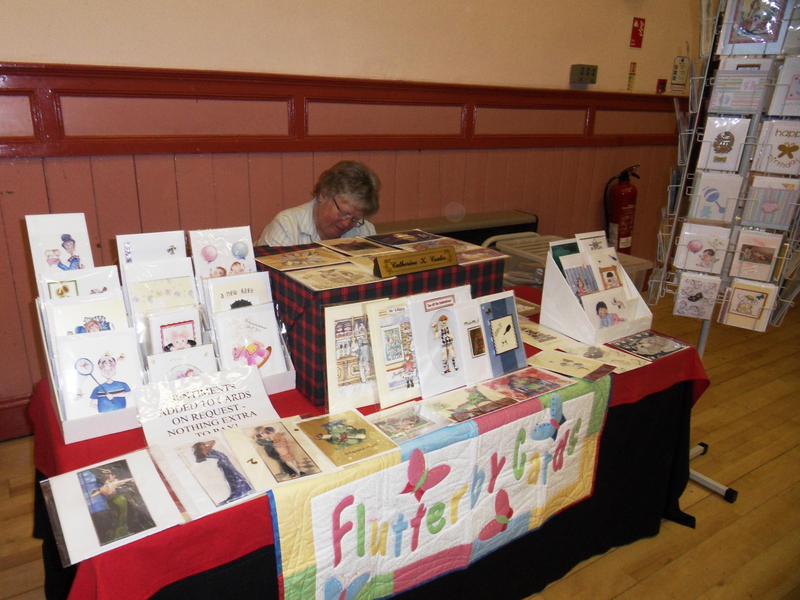 Mrs Russell spent a long while visiting the stalls and talking to the artists and crafters. Our Convenor of the art and craft committee, Eleanor, and her friend Pamela, attempted a head count as they met and greeted the public. They counted a total of 796 people passing through the foyer of the hall ( they admit that one or two others may have sneaked past). The largest numbers were recorded over the lunch period when the smell of Cullen Skink soup passed round the hall making everyone hungry. It was a very enjoyable day with the public keen to talk to the artists and crafters about their creations. I know that I felt as though I had talked all day and it was lovely speaking to the older peope about the creations they used to make. Many of the artists and crafters gave us a short biography of themselves and their crafts. 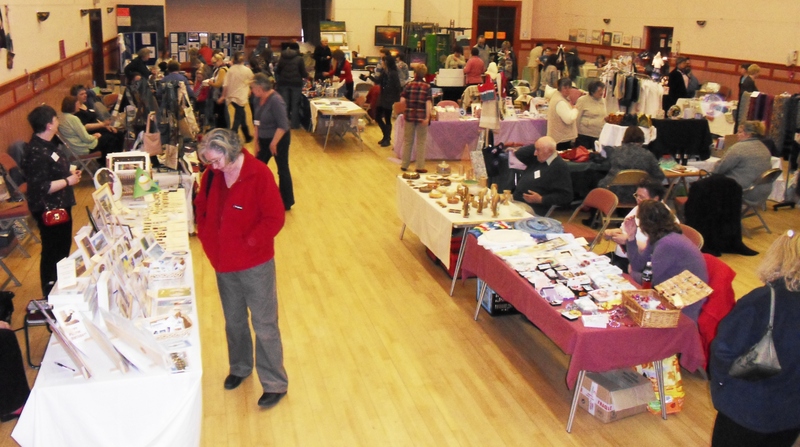 Over the coming weeks we will post these here along with photos so you can see what you missed last Saturday and encourage you to put our next fair in your diary. You are currently browsing the Buckieareacraftarts's Blog blog archives for May, 2010.